HD Reach will be hosting the 2019 North Carolina Huntington's Disease Statewide Education Day on Saturday, April 6, 2019. Harborside Wellbeing is honored to once again be a sponsor for this FREE event so families, friends, and healthcare professionals impacted by Huntington's disease can attend. The education day will be held in Raleigh, NC. Go to www.hdreach.org/upcoming-events/2019-education-day.html to register. The FREE events fill up QUICKLY. Space is limited, therefore RSVP is required and we recommend you do not wait to RSVP. Once space is full we will post this on the website and we will not be able to accept walk-ins. No worries – the free events are not an effort to sell you a product/supplement.  Rather, it is Harborside Wellbeing’s way of providing a free learning opportunity. Please refer to description of the event for location and time. Although the free events are provided by specialists in their designated field, the information contained in these events is not intended nor implied to be a substitute for professional medical/mental health advice. Always seek the advice of your physician or other qualified healthcare provider before starting any new treatment or discontinuing an existing treatment. Talk with a healthcare provider about questions you may have regarding a medical/mental health condition. Nothing contained in these events is intended to be used for medical diagnosis or treatment.